Prior to 1862, military service throughout all American history had been voluntary. 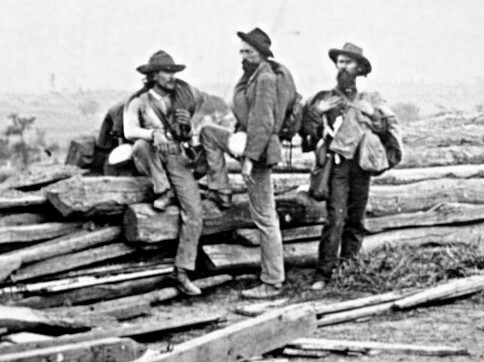 Militias gathered for defense in smaller conflicts; volunteer armies battled in the larger wars. However, the draft law introduced a new form of army raising which would influence U.S. History for the next hundred years. We should be careful to note that this wasn’t the first draft law in World History; draft laws, conscription, and coercion were a typical action of rulers to keep their standing armies at full strength. Why did the Confederate Congress pass this bill? In the Southern armies, one year volunteer enlistments were about to “run-out,” and the war wasn’t ending anytime soon – at least not before the service time ended. Richmond seemed about to come under attack and things weren’t going so well in the west. 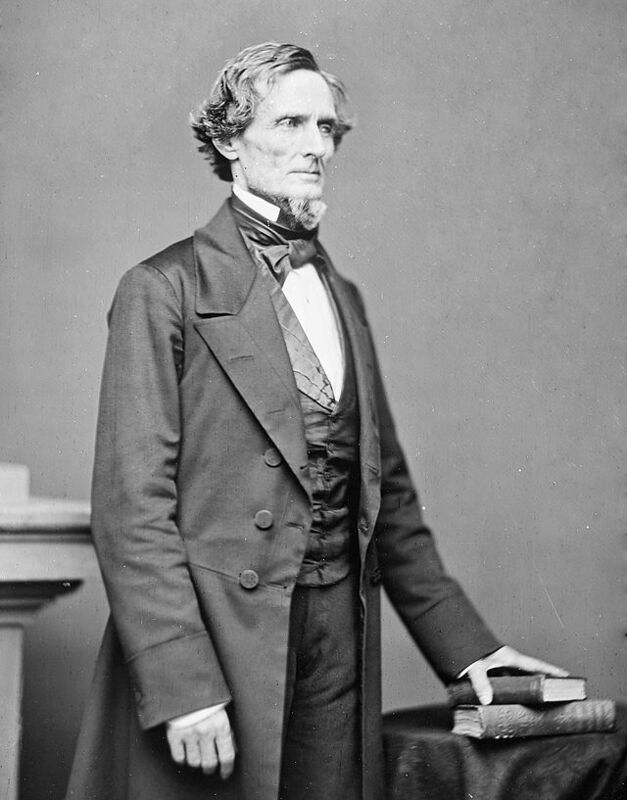 The Confederate leaders realized they had to keep armies in the field, and President Davis suggested this solution to his Congress toward the end of March 1862. 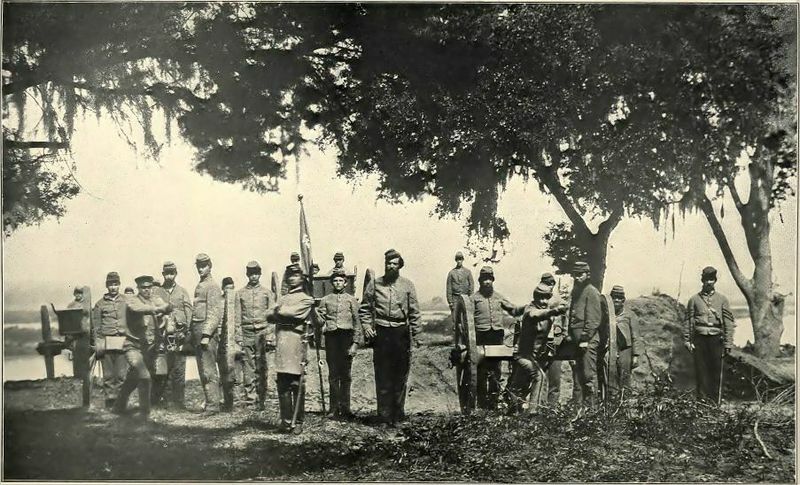 When the bill passed, all men between ages eighteen and thirty-five were required to serve in Confederate forces. Of course, there were exceptions, extra clauses, protection for the rich… The Confederate Draft Law was amended throughout 1862 by further legislation. The rich could hire substitutes. Exceptions from military service were made for individuals in certain professions. If a planter owned 20+ slaves, he didn’t have to serve. Additionally, the age of conscription was changed in the autumn; then all men been ages eighteen and forty-five (who didn’t fall into an exception category) were eligible to serve. The exceptions seemed to favor the wealthy, causing discontent among the lower classes. Some states found creative ways to use the exceptions to keep their men within the state and the state controlled militia, rather then sending them to fight in the Confederate “national” armies. The Confederates got the first draft law in place, but it wouldn’t take long for the Union to follow. (The first Union draft law was established in 1863). 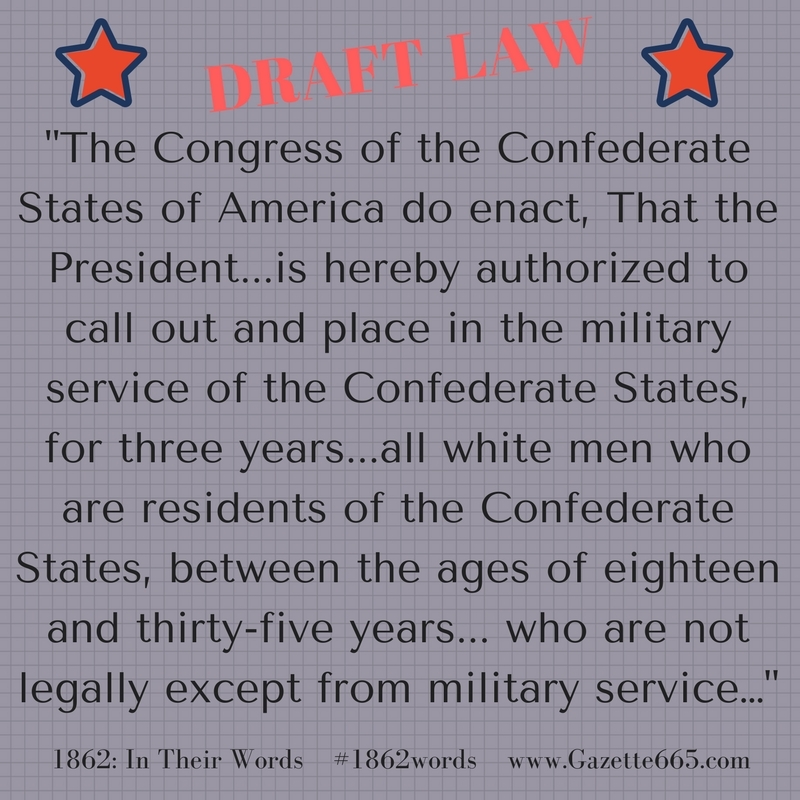 The principle of draft law continued in American History beyond the Civil War. World War I, World War II, and the Cold War era all relied on this method to raise and maintain large field armies. The Vietnam Conflict started violent protests against the draft law on some college campuses; the American military draft law of the Cold War era ended in 1973…and at this point, there hasn’t been another instituted.